Indeed, the book is as much a tribute to his brother Theo, who was perhaps his most stalwart supporter and friend. He tried (mostly unsuccessfully) to sell his brother’s paintings in Paris and many times sent him money, painting supplies, and even encouraged Vincent to come to Paris and move in with him. It makes me want to read the longer nonfiction YA biography of the two brothers, Vincent and Theo. 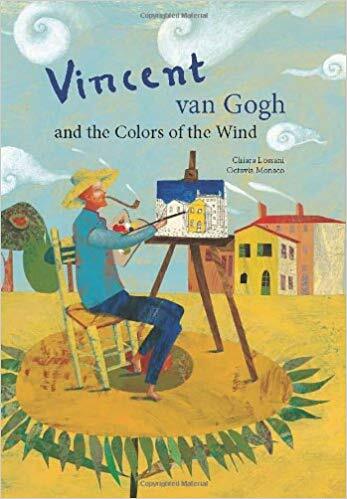 The book provides reproductions of at least a dozen of his paintings, and the glimpse made me want to look up more about his artistic development and his life. Highly recommended. This entry was posted in new stuff tuesdays. Bookmark the permalink.